Fun video ‘L is For Luminous‘ by Daniele Manoli explores neon lights from various signs in Hong Kong. No animation here. The Treasures From Budapest exhibition showcases the breadth and wealth of one of the finest collections in Central Europe. 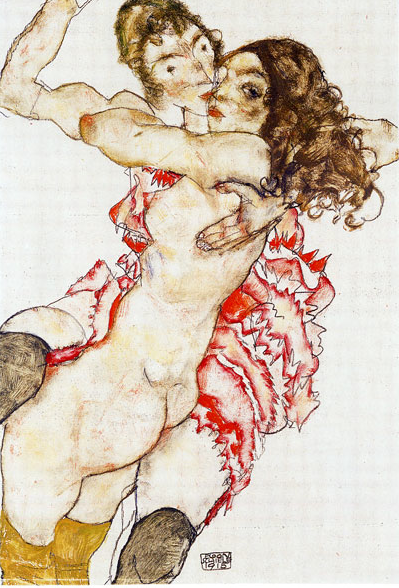 It comprises works from the Museum of Fine Arts, Budapest, with additional key loans from the Hungarian National Gallery. 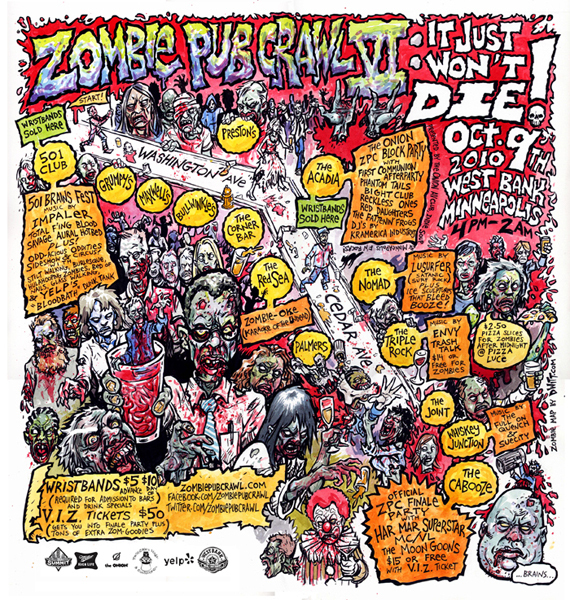 We’re really diggin this Har Mar Superstar Zombie Pub Crawl VI poster designed by Dwitt. This event is located in Minneapolis, MN. 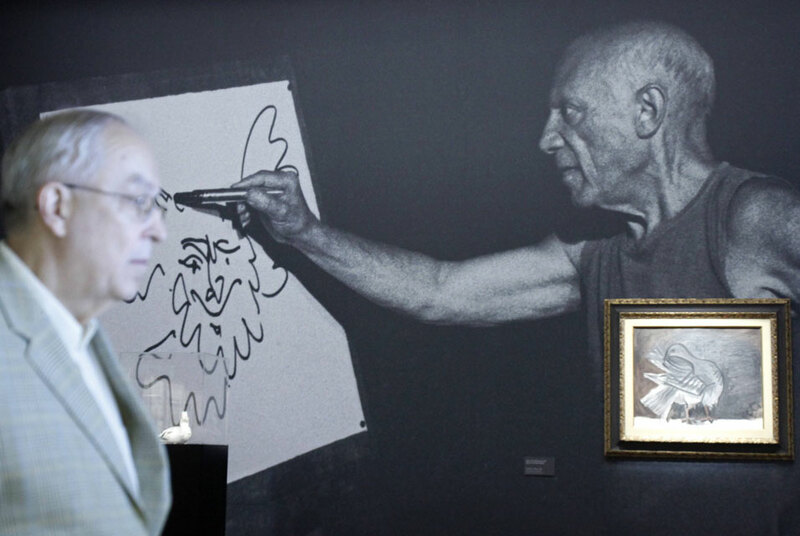 Man passes a large photograph of Pablo Picasso at the Albertina Museum in Vienna September 21, 2010. 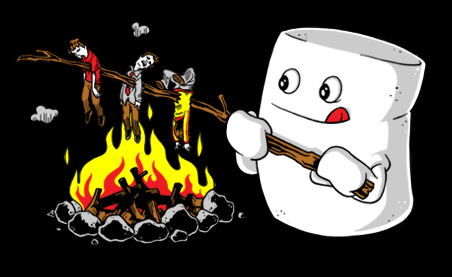 A marshmellow gets his revenge on this hilarious t-shirt design. Sick and twisted! 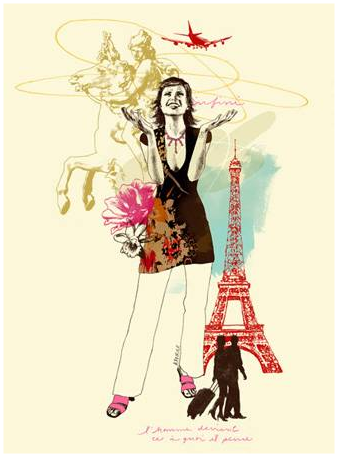 From T-Shirt Hell. If you ever find yourself watching the clock, beware, this one will look back at you. The hours and the minutes are both represented by a separate ocular dial. As you look at it, the left shows the hour, and the right shows the minutes. 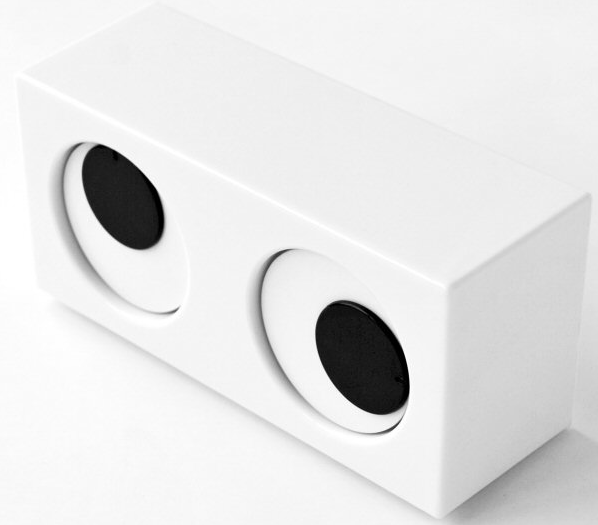 Ultra minimalistic, one might not even know what it is upon first glance. Available at gadgets.